With high quality and the best price. 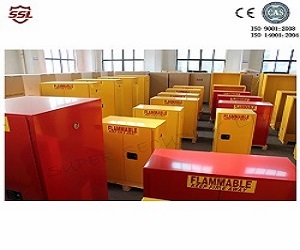 Safety Storage Cabinets for 60-gallon paint cans are available in 30, 45, 60 and 90 gallon capacities. Warning label reads "Flammable - Keep Fire Away". Perfect for print shops or auto body repair. Available in manual and self-locking doors.